I am absolutely delighted to tell you that my new song "Seven" is out everywhere today!!! If you happen to identify as a type Seven, my hope is that this humble attempt at capturing you in song not only celebrates your brightness, but honors your deep depths. You are an infinite source of light in this world and help all of us experience life with more richness and fullness. Thank you!! I hope that at least a part of your spark is here in the melodies, instrumentation and words of this song. ... or subscribe to the Official Atlas: Year Two playlist on Spotify!! Wanna hear the birth story of "Seven"? 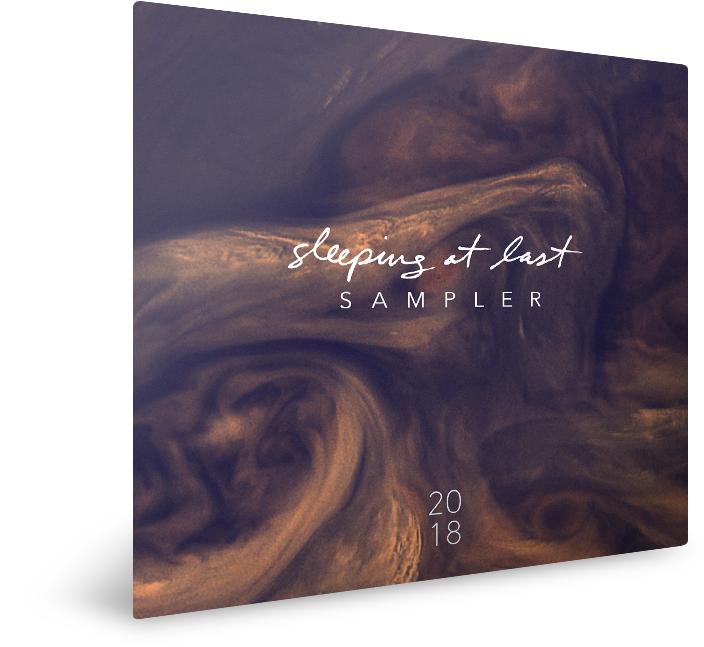 Episode 16 of The Sleeping At Last Podcast is out TODAY too and it's jam-packed with Seven-ness - I get to show you what/why/how these sounds and ideas became a song and talk about who these wonder-FULL Enneagram type Sevens are, etc. Joined by resident Enneagram expert, Chris Heuertz (buy his book!!) I'd be honored for you to give it a listen! And if you're up for it, please consider subscribing to the podcast! My Guest Band of Sevens: Emiko Bankson played Violins & Jon Foreman sang Harmonies. how nice it’d be if we could try everything. i’m serious, let’s make a list and just begin. let’s climb this mountain before we cross that bridge! how wonderful to see a smile on your face. it costs farewell tears for a welcome-home parade. i’ll find the silver lining no matter what the price. it feels like sinking when i’m standing in one place. so i look to the future and i book another flight. when everything feels heavy, i’ve learned to travel light. to watch the ones that i love bloom. and through the slow and barren seasons too. "October 30, 2018: Kepler - Goodnight"
hoping you are having a beautiful easter! “nine” progress report: 85% of the lyrics are done.